Service dogs for physical disabilities certainly help people through specific tasks related to a patients disability. But what about their emotional or social health? New studies from the O'Haire lab show that recipients with service dogs had higher psychosocial functioning (social, emotional and work/school function) than the control group. However, there were not differences in sleep, anger, or social companionship. In response to open-ended questions, participants also indicated greater benefits for psychosocial outcomes than physical outcomes. 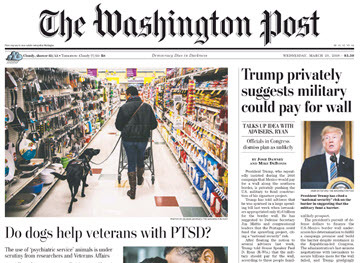 Finally, a main drawback that was identified from recipients of service dogs was public education/awareness of service dogs and their rights related to access. Overall, service dogs have benefits that go beyond their physical assistance. Therapy animals of all species are traveling to help try to improve human health and well-being. Although data supporting these practices is in its relative infancy, researchers - such as the O'Haire Lab - are working hard to provide strong scientific evidence behind these practices. For example, although our lab does research with service dogs, we have also studied guinea pigs in the past. Funding by the National Institutes of Health has really changed the landscape of the field. Ruff! 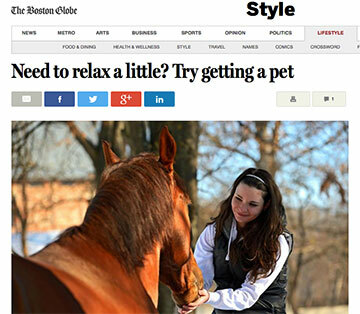 Are Pets Good for our Health? 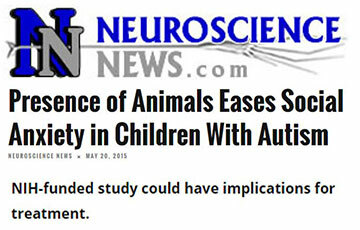 NIH funds research studying how animals affect human health. The O'Haire Lab plays a part in this research. 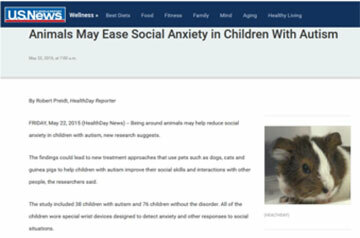 Previously we have done studies on guinea pigs in classrooms helping children with Autism Spectrum Disorder. Now we are exploring how service dogs may be able to help military veterans and their families. 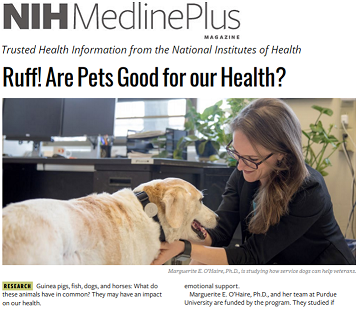 This article is a quick review of NIH funding to study human-animal interactions as well as Dr. O'Haire's advice for pursuing a career in human-animal interaction. 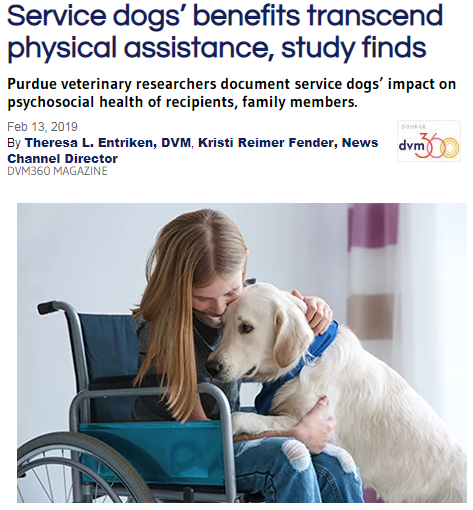 The O'Haire lab has preliminary scientific results from a pilot study that PTSD service dogs may be effective in reducing PTSD symptomology. Thy are currently conducting a clinical trial with funding from the National Institutes of Health. 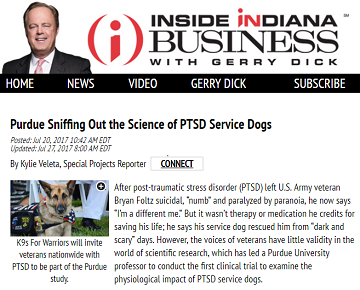 This article reviews the current status of scientific research of service dogs for military veterans with PTSD. 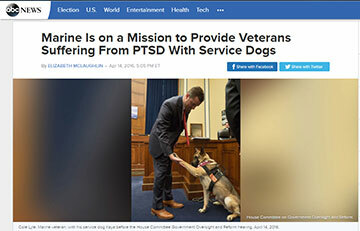 The O'Haire lab with funding from the Human Animal Bond Research Institute and Bayer Animal Health conduct a pilot study providing scientific evidence of the mental health benefits for military veterans with PTSD who have service dogs. Results showed that veterans with service dogs had lower levels of PTSD symptomology, depression, and anxiety than those without a service dog. 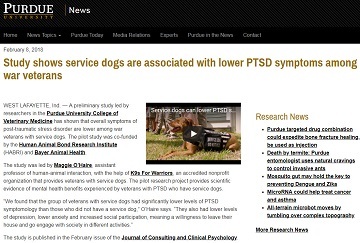 This study was done with the help of K9s For Warriors, an accredited nonprofit service dog organization for veterans. See a youtube video explaining the study! 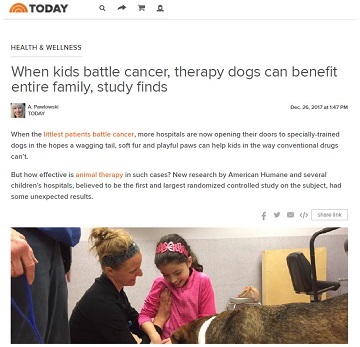 The O'Haire lab and American Humane conduct the first and largest randomized controlled study with kids with cancer and therapy dogs. Results showed that all children's' stress decreased overtime, regardless if they had a therapy dog visit or not. Parent stress levels improved even further. Also, there were no adverse events showing the safety of this therapy. The O'Haire lab receives $525,000 in funding from NIH and Merrick Pet Care to conduct a study on PTSD service dogs. In addition to improving your physical health, studies are starting show that pets can also help improve mental health, even for people with challenging disorders. These results are helping to show that animal-assisted interventions can be used alongside conventional medicine. Studies have shown they can help reduce anxiety and depression, as well as the symptoms of PTSD, which is why they are commonly paired with veterans (though they are not a replacement for counselling and medication). 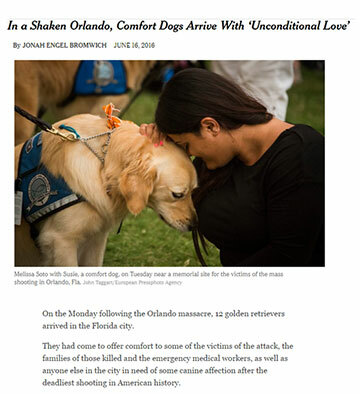 While it’s not entirely clear whether comfort animals provide long-term benefits to those in pain, studies have shown that they can help to reduce feelings of anxiety and depression as well as the symptoms of post-traumatic stress disorder. 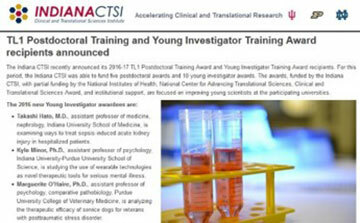 The Indiana CTSI recently announced its 2016-17 TL1 Postdoctoral Training Award and Young Investigator Training Award recipients. He pointed to several studies including research conducted by Purdue University on animal-assisted intervention for victims of trauma. 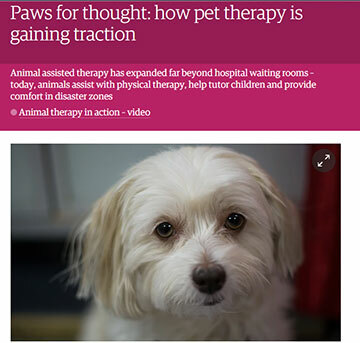 "In the area of therapy animals, practice is far outpacing research. People think it works and like the idea of it, so they do it," explains Maggie O’Haire, assistant professor of human-animal interaction at Purdue University College of Veterinary Medicine. 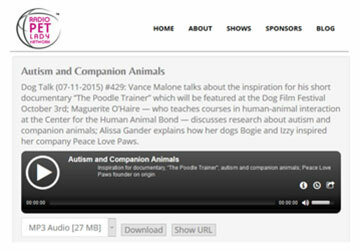 Marguerite O’Haire — who teaches courses in human-animal interaction at the Center for the Human Animal Bond — discusses research about autism and companion animals. 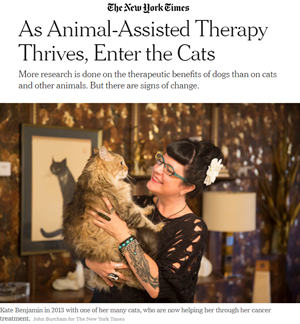 Research on the therapeutic value of animals is limited. Some studies have shown that they can provide a short-term benefit, particularly in reducing anxiety and depression. A long-term therapeutic benefit, however, has not been definitively established by randomized control trials. Purdue Assistant Professor Dr. Marguerite O’Haire received a one-year grant in April to lead a study on the subject. O’Haire is focusing on post 9/11 veterans with PTSD or a traumatic brain injury. 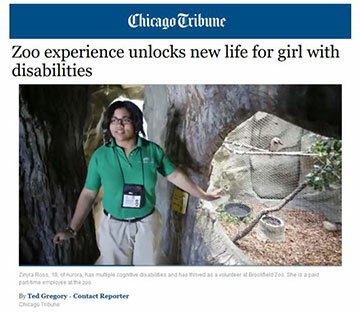 She said veterans have told her how they think the dogs help them, so that’s what she will study. 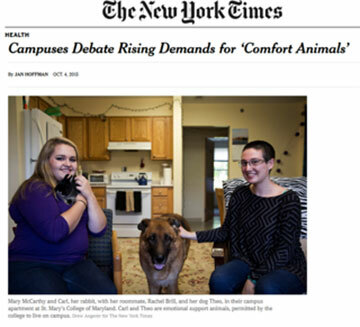 The project began because the lead researcher, Marguerite E. O’Haire, now an assistant professor at the Center for the Human-Animal Bond at Purdue University, wondered whether there were measurable benefits to having animals in the classroom, a common practice. Even fish can have that effect on people, which is why so many doctors’ offices have fish tanks, said Marguerite E. O’Haire, an assistant professor of human-animal interaction at Purdue University’s College of Veterinary Medicine. 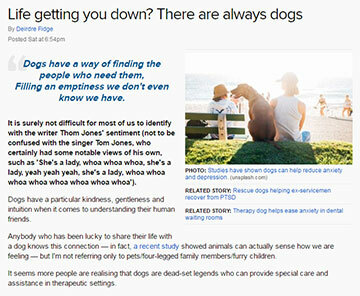 The study, published online in Developmental Psychobiology, was conducted by Marguerite O’Haire, Ph.D., from the Center for the Human-Animal Bond in the College of Veterinary Medicine of Purdue University in West Lafayette, Indiana, and colleagues in the School of Psychology at the University of Queensland in Brisbane, Australia. 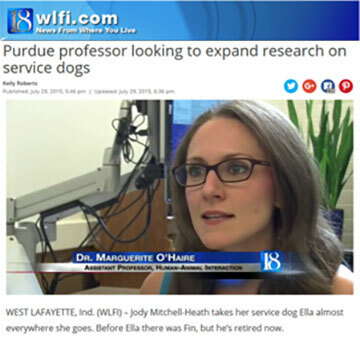 Marguerite O'Haire, assistant professor at Purdue University's Human-Animal Interaction Research group, has been studying the subject for about a decade. 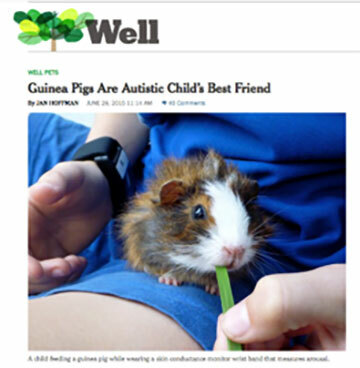 In a study she published in 2013, O'Haire concluded that children with autism spectrum disorder were more social in the presence of guinea pigs than in the presence of toys.